The Chinese language is now becoming one of the most spoken languages around the world. This is different from the past, where the Chinese language was only spoken in China, Taiwan, Singapore, and other Asian countries such as Thailand and Malaysia. Not many people were aware of Chinese cultural aspects, including the predominant languages; Mandarin and Cantonese. This is because China did not have much influence at the global stage in terms of diplomatic issues and trade. However, China has positioned itself as one of the most influential countries around the world. Apparently, China is competing with the United States in terms of economic supremacy across the globe. China is currently dominating Africa’s imports, with many countries preferring the Asian country due to its non-partisan basis, especially when it comes to political structure and processes in a country. Most of the infrastructure projects such as railway networks, dams, and roads currently under construction in Africa are funded and undertaken by the Chinese government and its people. There is something that China and Chinese citizens are doing in every corner of the world even in the United States. Recent research studies show that China’s population is more than 1.3 billion people. This is a significant number in world’s population. 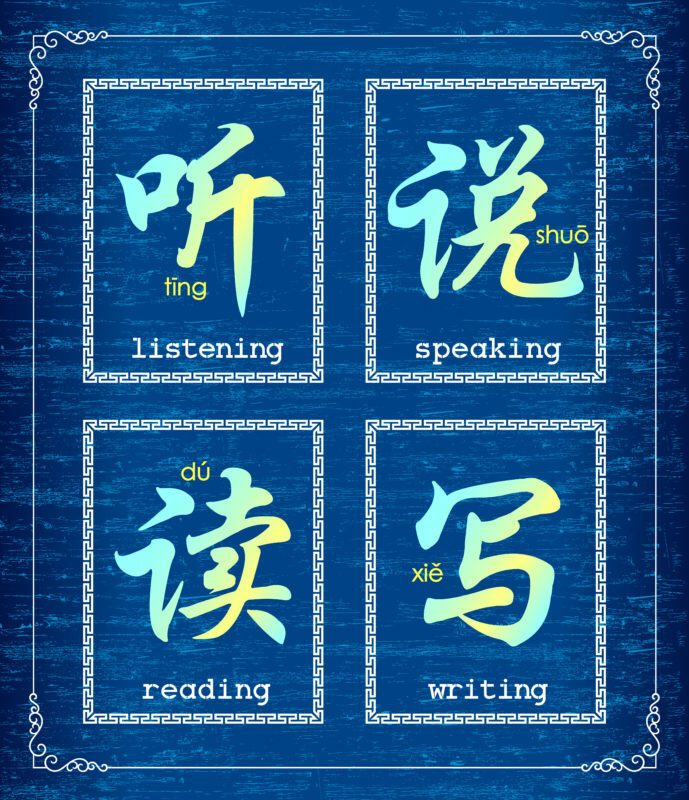 Due to these factors, you cannot ignore the Chinese language because, in one way or another, the language is influencing your life. A large number of people around the world have already developed a perception that the Chinese language is hard to understand, learn, and implement. This is because the language is only found in a particular parts of the world as compared to other major languages around the world. However, there are some critical factors that you need to understand so that you can learn Chinese quickly. You already believe that Chinese is one of the most challenging words that people have to learn and understand. To a greater extent, this is true. The Chinese language does not follow the standard alphabetic system that many words use. It comprises thousands of pictographs, characters, which you have to study, analyze, memorize, and internalize. You can only be able to understand these characters through constant writing and reading after a long period. If you want to understand how to learn Chinese word or words for this matter, you need to be aware that Chinese is a ‘language,’ where the meaning of a particular word can generate multiple meaning due to variations of the voice, especially when pronouncing a specific syllable. This is one of the ultimate steps to learning the Chinese language and excelling in it after a short period. One crucial idea you have to know, if you want to know how to learn Chinese word, is that most of the Asian languages are made of hundreds of other locally spoken words. These languages have evolved over a long period and are now dominant languages in their respective regions. Most of these languages grew due to the trade between the people in Asia and were not influenced by media or languages from other parts of the world. In China, Mandarin and Cantonese are the major dialects. However, they are distinctively different, but the Chinese people can easily understand and write to one another. Historically, Cantonese dialect dominates and is used by most of the Chinese individuals living in Canada and the United States. This can highly be attributed to Chinese immigration from the regions of Guangdong and Hong Kong, where Cantonese is the primary language. However, recent statistics indicate that a considerable number of Chinese entering the United States are from Mainland China, where Mandarin is the dominant dialect. Therefore, Mandarin dialect will overtake the Cantonese language in the next few years. It would help if you equip yourself with the word that will be useful for a longer period. Other essential factors make Mandarin the best bet for non-Chinese speaking individuals. Mandarin is the official language in China and dominates both politics, education, and media. Despite being a dominant dialect in North China, Mandarin is one of the official languages in Singapore. It is also a more natural dialect to learn due to its simpler tonal structure and variation. Due to the complex nature and the number of the characters involved when learning Chinese, it is essential to learn how to speak first, read, and then write. It would be very difficult to write before you even know how to speak. Remember that the grammar and structure of the sentences are achieved when one can synthesize what they want to say in their mind. You cannot synthesize what you want to write if you cannot speak. Besides, the tone and sentence structure might be so poor or re-arranged to the extent that you are communicating the wrong message. After speaking, reading will be easy because you will be anticipating the meaning of the sentences and the arrangement of the characters. It will also be easy to write if you can speak and read. However, most of the leaning programs combine both speaking, reading, and writing. Therefore, it is your choice to determine what is important to you, depending on your needs. Currently, there are two writing systems that you can incorporate when writing Chinese. Traditional system and the simplified Chinese system. Traditional or complicate Chinese system uses complex characters, and it has been in use for a longer period. It is still apparent in the modern Chinese writing system. Although the characters used in traditional Chinese are beautiful, they are very complex, which means that you have to take a long period trying to write intricate characters to form words. However, through the government’s intervention, there has been a formation of a new writing system that is simpler to understand and undertake. This was primarily, invented to promote literacy across the country. In the simplified writing system, the number of pen strokes required for a particular word has significantly been reduced. You can use the simplified writing system, and you will be able to write Chinese within a short period. From these simple steps, you can be able to learn Chinese and become an expert in this language. However, you have to understand that Chinese is a bit different from other western words that share syllables and, in some instances, meaning and pronunciation. This means that you have to put much effort and commitment to speak and write fluently. With the influx of Chinese citizens in the United States and other countries around the world and their increasing population, Mandarin will soon become an imperative language. Wanting to Learn Chinese, Japanese, Korean, or All Three?